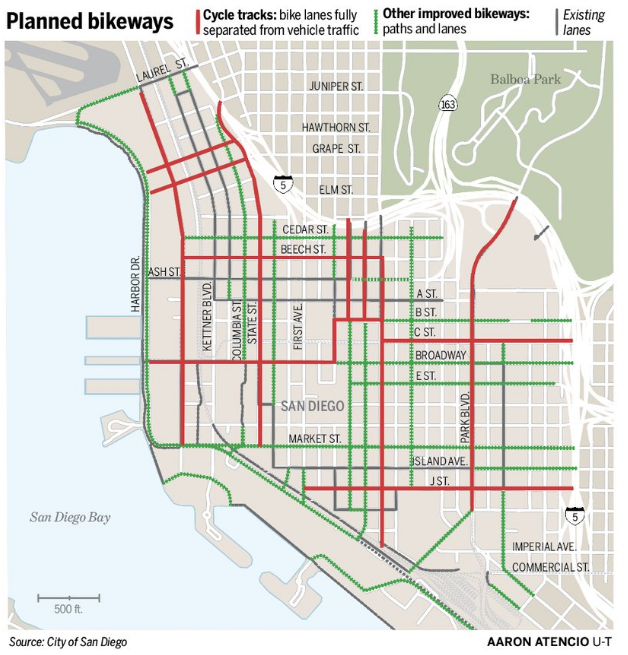 A new plan would transform the streets of downtown San Diego to be more bike and pedestrian friendly. 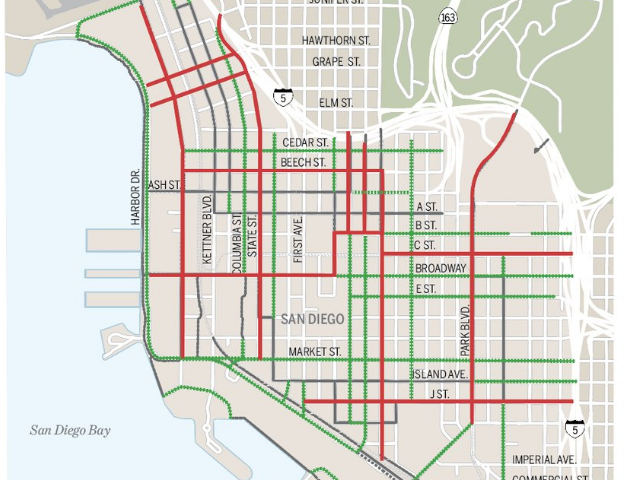 The plan, which has city council approval, would create new bike lanes out of existing vehicle lanes and on-street parking areas. Read the complete article here, which includes a visual map of the new changes.